Australia has a lot to learn from the UK experience of transferring public housing estates to not-for-profit providers, according to new research. 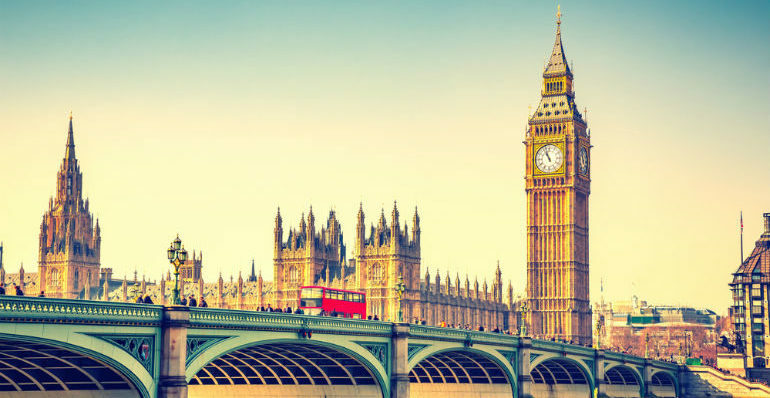 A new study has painted a picture of the UK experience over three decades, offering information about how similar transactions in Australia could maximise their potential long-term benefits and best support not-for-profit housing sector growth. According to the research, undertaken for AHURI by RMIT University and the University of Glasgow, the UK property transfers created NFP housing providers that were “dynamic and resilient” in the face of economic and social changes. Professor Duncan Maclennan from RMIT University, one of the research authors, told Pro Bono News public housing was “stuck” at the moment in Australia and needed to change. “Although public housing in Australia has never housed more than 6 per cent of the population and is now down to about 4 per cent, it’s been a really important source of housing to low income people and sometimes people recently arrived in the country,” he said. “But over the last 20 years it has run down in scale, it is run down in quality, it’s regarded as problematic and very often only the poorest and more marginal households will live in there, so it is fairly stuck in a sense in terms of its quality and where it’s going. “Many big authorities in the UK were in a similar position at the start of the 1990s and decided that they would transfer their housing, when it was approved by their tenants – I may say their tenants had to be asked in this process – to non profit ownership because they had access to money that wasn’t government money, they used private finance, they were able to change, they were able to form partnerships to renew neighbourhoods in a way that sometimes public authorities find it difficult to work across different departments. “The office of housing in Australian states hasn’t always found it easy to work with other departments around about it to do the things you need to do to change your neighbourhood. The latest report, Transformative Transfers: Growing Capacities in UK Social Housing, highlighted that government-provided institutional support was critical to the evolution of the sector. In particular the researchers found that a supportive national policy regime from 1989 to 2010 was a crucial ingredient of UK success. Key components of this framework included a bond aggregator, coherent regulation, and links between not-for-profit providers and private funders. Maclennan said tenant participation was also critical to the success of the UK experience. “The requirement that proposed transfers could proceed only when backed by a tenant ballot had a key role in giving NFP ‘successor landlords’ community legitimacy and a mandate for clearly defined change,” he said. “The main takeaways [for Australia] at different levels would be, at a federal level it is quite important to have a relatively coherent approach to regulation of not for profits across the different states. “I think it is important for the federal government to promote good intermediaries between small not-for-profit providers seeking finance and the capital markets and they’ve recently introduced the idea of putting a bond aggregator in place to facilitate that. So the federal government are taking these responsibilities clearly. “At the state level, I think that state politicians, state treasuries and state housing departments have to make an honest assessment of whether they have really got the money or are prepared to make the money available to invest in improving the social housing that is there and in many instances think about alternatives through not for profit ownership. The study established that in working to transform run-down public housing systems, different capacities needed to be developed at different stages, both in housing providers and in government bureaucracies. The stages include: during the initial policy planning process, after transfer, in a “settling-down” post-transfer period (two to five years), a consolidation period of up to a decade, and as a mature provider often involving significant changes in roles, staffing, resources and governance. “In the UK, property transfers diversified the affordable housing sector, created new routes to private finance, and allowed not-for-profits to grow to an efficient scale. They were also important in shaping a flexible innovative housing association sector,” Maclennan said. “But in recent years UK governments have largely abandoned property transfer policies, and housing associations in England have had to cope with ad hoc policy interventions that have changed their not-for-profit status and presented major risks to their businesses. Maclennan said transferring public housing estates to not-for-profit providers was something Australia should be considering. “I think the general idea of trying to raise the amount of nonpublic money that goes into delivering affordable housing is something that needs to come into play here because there is a deathly shortage of affordable housing and the government is not making the money available, so creating a route to private money that’s still affordable is important,” he said. “I think the second reason that there is a space is that not for profits don’t just provide housing for the poorest people, they will quite often provide housing outcomes. “Say for housing in the UK not for profits are now building more market rented housing for young people who don’t have enough to get into home ownership, or even main market renting, so that they’ve been able to become somewhat more flexible local housing agents who are dealing with a number of the housing problems that there are in housing systems, and I think that given the general crisis for housing affordability and not just the problems of so-called affordable housing, I think Australia have to look at different institutions that actually will address different parts of that spectrum if you like, of affordability difficulty. He said the UK experience had shown not-for-profit organisations were effective in this space. “Very few of these non-profits run into any kind of difficulty of either being well managed and they haven’t had problems and issues of corruption related to them. They’ve been effective, they’ve been honest but also they’ve done an awful lot more that they were expected to do,” he said. He said the proof was in the response of the staff. “Where the staff who came to run the public housing units that were transferred, those that had previously worked for the public authority, how they put it was, in the past they’d reported upwards in the political system, what they now did was they reported to the local tenants or the community who were in the housing, that was who they worked for now rather than the bureaucracy,” he said. “That had a really telling effect on their relationships. “They also brought on boards of a non-political nature that were capable of taking long term decisions about rent and maintenance that seem to have been beyond public housing authorities in a much more effective ways.